Have you ever been on a government website before? Of course, you have. And you remember it too. It’s the stuff of nightmares. The most basic instructions are stretched out across a dozen pages. And after reading each and every one of them – and the pages are never put in any simple order – you walk away from the website more confused than you started out. 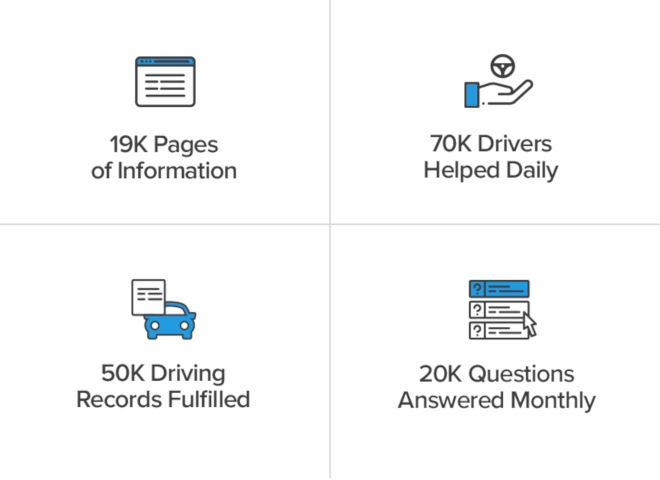 Here at DMV.com, we assist drivers and car owners by providing them the information they need to get DMV tasks done quickly, easily and without any hassle. We go where few dare to tread –the “.govs”– so that you don’t have to. We get those convoluted pieces of information and condense them into simple, comprehensive articles on every DMV topic that you need to know about: from getting a driver’s license or registering your car to ordering a driving record or enrolling in traffic school. All of these different transactions are complicated, having various requirements, exceptions, exemptions and other such variations. But with our expert team of DMV Advisors at the helm, you’ll never know the difference. Our team of researchers is constantly reviewing the state DMV websites and updating our pages to ensure that our information is accurate, up-to-date and easy to read. You just get the info you need and leave all the wiser. We even offer multiple services online so that you don’t have to spend your precious personal days at the DMV. The moment you decide to use our online services, you get access to our team of 15 customer service agents, who are well-trained in the ABCs of the DMVs. Our team is dedicated to walking you through any process and ensuring that any order you place is fulfilled in a timely manner. Nowhere else will you see “speed,” “convenience” and “DMV” in the same sentence – only at DMV.com. But we’re here to do more than just make things easier for you. At DMV.com, we’re just as concerned with your safety and the safety of the millions of drivers all across the country. Approximately 300,000 drunk driving incidents occur across the United States every single day. The result is over 10,000 deaths and almost 400,000 injuries each year – all of which are easily preventable. This is why we’ve partnered with Mothers Against Drunk Driving® (MADD). 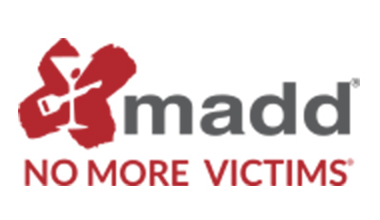 We donate a portion of our proceeds to MADD and let our customers do the same when they use our DMV services in order to keep our roads safe and our drivers secure. Last updated on Tuesday, February 19 2019.